Please refrigerate your order on the day of delivery and use within 3 days. Otherwise place into a freezer on day of delivery. Ensure any frozen items are thoroughly defrosted before cooking. Pre-heat the oven to 180 ºC / 350ºF / Gas Mark 4. 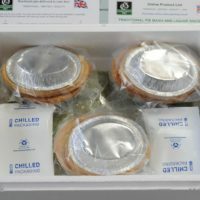 Place pies on a baking tray and cover with foil, this stops the pie tops from burning. Place in the oven for 20 minutes. Remove the foil and return to the oven for around 5 minutes ensuring the pies are piping hot. Allow the pie to stand for 2-3 minutes before serving. 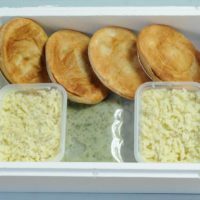 Remove the pies from their dishes and heat upside down in a microwave (800 watts) for 5 minutes. 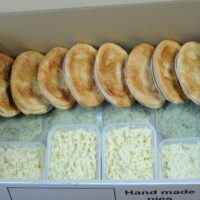 Return to their dishes, place on a baking tray and into pre-heated oven at 200ºC / 400ºF / Gas Mark 6 and bake for 10 minutes, ensuring all the pies are piping hot. Allow the pie to stand for 2-3 minutes before serving. Pre-heat the oven to 180 ºC / 350ºF / Gas Mark 4. 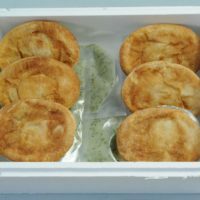 Place pies on a baking tray and cover with foil. 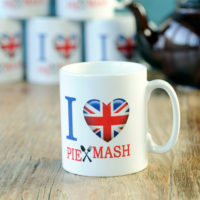 This stops the pie tops from burning. Place in the oven for 15 minutes. Remove the foil and return to the oven for around 5 minutes ensuring the pies are piping hot. Allow the pie to stand for 2-3 minutes before serving. 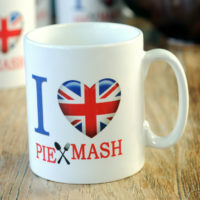 Remove the pies from their dishes and heat upside down in a microwave (800 watts) for 4 minutes. 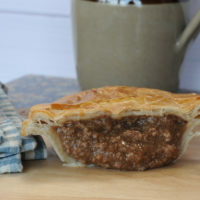 Return to their dishes, place on a baking tray and into pre-heated oven at 200ºC / 400ºF / Gas Mark 6 and bake for 10 minutes, ensuring all the pies are piping hot. Allow the pie to stand for 2-3 minutes before serving. The liquor pouch can be microwaved but we suggest pouring into a jug or bowl before reheating. Fresh/chilled liquor – Cold liquor will ‘set’ or become jelly like, this is perfectly normal. Open the pouch using scissors and stir gently before pouring the required amount into a saucepan. Heat for 5 minutes on a moderate heat. Stir while heating and do not allow to boil as this will impair the flavour. Liquor can be microwaved in the pouch. Cut off the top of the pouch using scissors. Stand the pouch on a plate in the microwave and heat for 2-3 minutes. Stir half way through and avoid over heating. 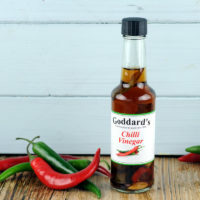 If required, add small amounts of hot water to thin the liquor down during heating. 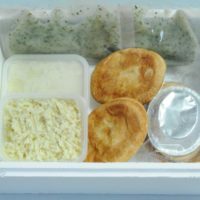 The mashed potato container can be microwaved. Lightly break up the mash with a fork and loosely replace the lid. Microwave for 5-6 minutes until hot. Stir half way through and avoid over heating. For best results, fluff up the potato regularly during cooking time. All of our pies, liquor and gravy contain wheat flour (gluten). 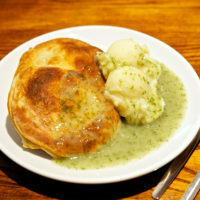 Many of our pies also contain soya as a pastry ingredient. 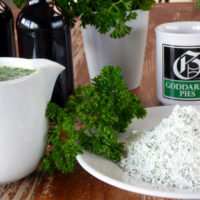 We use mustard and celery extract in several pie recipes. 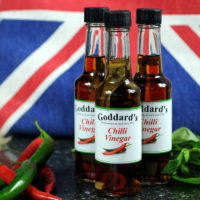 Please refer to the product page on our website for ingredients and allergen information or contact us on 01732 252525. Results and times will vary according to your own equipment.